Werner Gerth was born on 10 May 1923 at Pforzheim. Gerth was serving with JG 53, based in Italy, in late summer 1943. Leutnant Gerth was assigned to 7./JG 53. He sustained wounds in a RAF bombing attack on the airfield at Ciampino on 17 September 1943. 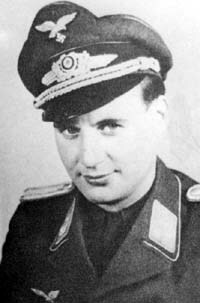 In January 1944, Gerth volunteered to join Sturmstaffel 1 under the command of Major Hans-Günter von Kornatzski. He shot down his first four-engine bomber on 22 February 1944. On 6 March, he shot down two USAAF B-17 four-engine bombers and, on 11 April, two USAAF B-24 four-engine bombers. On 20 April 1944, Gerth was appointed Staffelkapitän of 11. (Sturm)/JG 3, but still served with Sturmstaffel 1.  Later, Sturmstaffel 1 members joined his 11th Staffel, which was then renamed the 14th Staffel, on 10 August 1944. Sturmstaffel 1 attacked a force of about 40 B-17s on 29 April 1944 and, during a 30-minute battle, shot down almost half of the American bombers. Gerth shot down one B-17 and recorded a B-17 Herauschuss in this action for his 7th and 8th victories. On 7 July, he again shot down two B-24s (13-14). By the end of July 44, Gerth had amassed a score of 20 four-engine bombers shot down, including multiple victories on at least three occasions. He was awarded the Ritterkreuz on 29 October 1944 after 26 victories. On 2 November 1944, Gerth was hit by return fire while in the process of shooting down a B-17 over Halle. According to some sources he then rammed it and baled out, but his parachute did not open. He was flying a Fw 190A-8/R-2 Sturmbock (W.Nr. 682 057). There is little evidence to support Gerth’s ramming of the bomber on the day of his death. His wingman, Feldwebel Oscar Bösch (18 victories) cannot confirm that Gerth died after ramming a bomber but indicates Gerth was shot down by fighters. Gerth was posthumously promoted to the rank of Hauptmann and awarded the Deutsches Kreuz in Gold. Werner Gerth was credited with 27 victories. All his victories were recorded over the Western front, including 22 four-engine bombers. He was shot down twelve times himself. 12:47 B-17 14./JG3 NW Halle / Rammed?